After completing Canara Net banking registration process, you will get login password. But to use internet banking features, you need to get transaction password. 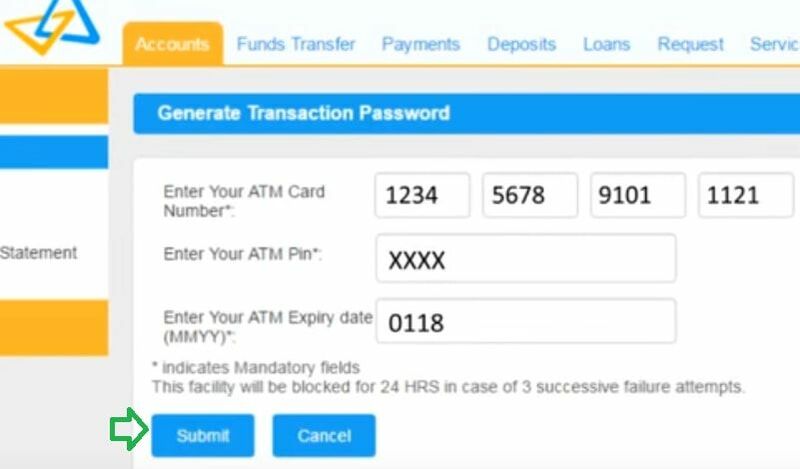 In this article, we are going to tell you step by step how to login first time and generate transaction password for Canara bank internet banking online. 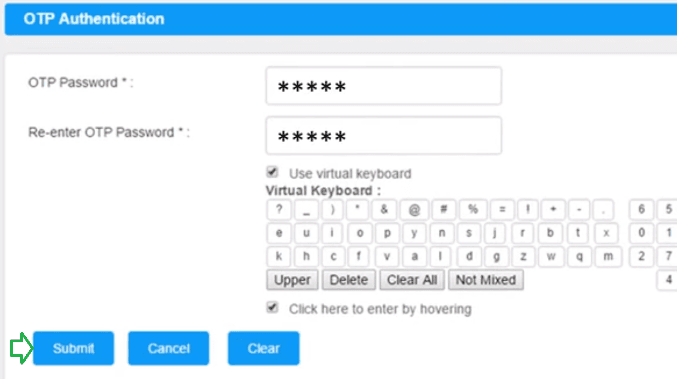 Step 1: You can login for the first time to set a transaction password. To do so, you will have to navigate to the net banking web page by clicking https://netbanking.canarabank.in/entry/ENULogin.jsp. Step 2: Enter your Canara bank Customer ID and password to log in. Now fill your Atm Card number, Atm pin and its expiry date, then click 'submit'. Step 3: Now enter OTP sent to your registered mobile number and re-enter the same in second field. Step 4: Now enter the transaction password of your choice and re-enter the same to confirm, then click 'submit' button. Your request to generate transaction password will be completed successfully. 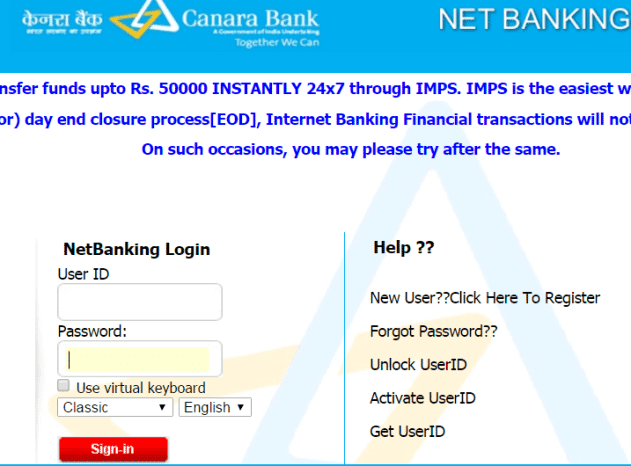 You can start Canara net banking by using newly set login and transaction password. Now You will be able to change the password to your desired password and you will then be able to access the net banking like you do for any other bank. I cant generate transaction password. I have entered the same way as instructed. I am unable to generate a transaction password. The options are not showing. I am not getting generate transaction password option in my Canara bank internet banking login site I have logged in by using my login password but on top of that site it is showing enable/disable transaction facility. Plus I am non-resident and I do not have an ATM Debit Card; How can I generate or change the Transaction password? I am sending so many emails no proper response??? I got a message saying contact Bank to issue transaction password or generate password transaction password. I am too not getting generate transaction password option. I am not getting to generate transaction option in my canara bank internet banking login site then how can I generate a transaction password. Transaction password generate option is not available. How I find my transaction password. I also have the same problem. generate transaction password not visible to me. please give a solution. These government banks net banking services are so bad...no solution for generating transaction password. I have set for transaction password but my password not idea. generate transaction password option is not visible. still, you can't visible. I could see it on my account today also. which type account is yours? I am not getting generate transaction password option in my Canara bank internet banking login site I have logged in by using my login password but on top of that site it is showing enable/disable transaction facility. I have forgotten my transaction password. If you forget or to reset your transaction password, first you have to log in to your account, then on the top of the page you can see the option "generate transaction password" . Give your ATM card no., PIN and expiry date. Then you will get an OTP. Confirm it. Then you can change or reset the password. not seeing that option in Canara net banking. You have to enable the transaction facility then you will get the generate transaction password option on right side of this transaction facility option. 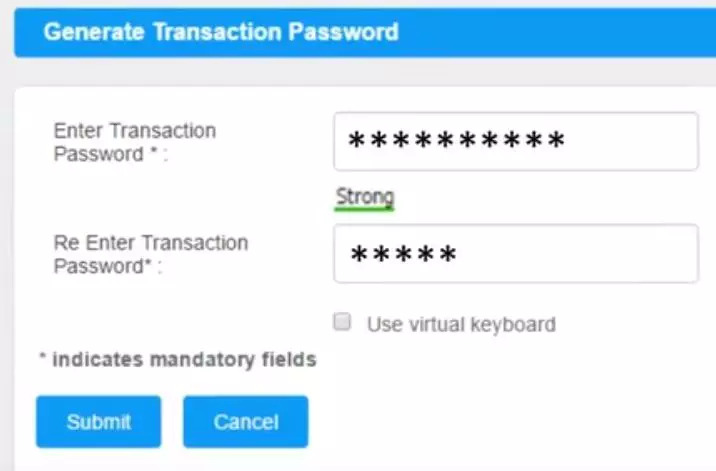 To enable transaction facility, it requires a transaction password. When we do not know the transaction password, how do we proceed on enabling transaction facility? After the first step of logging into the internet banking, I am not able to see any window containing my name and account number and fund balance. Additionally, I am not getting the option to enter the debit card option and its ATM pin and unable to generate transaction password. Please guide me to generate the transaction password otherwise I will not be able to pay my Citibank credit card dues by net banking. The first step successfully is done but step 2 password not create. Plz, help me for password creation. How To ReGenerate Transaction Password? How To Regenerate my Canara bank Transaction Password? I do not have a ATM Debit Card; How can I generate or change the Transaction password ? i am not getting generate transaction password option in my canara bank internet banking login site i have loged in by using my login password but on top of that site it is showing enable/disable transaction facility. Even I face the same issue. No where i can see to Generate Transaction Password. i am not getting generate transaction password option in my canara bank internet banking login site i have loged in by using my login password but on top of that site it is showing enable/disable transaction facility.how can I make transaction password ? I have the same problem, what should I do? in accounts i am not able to get generate transaction password and nothing is coming like that.